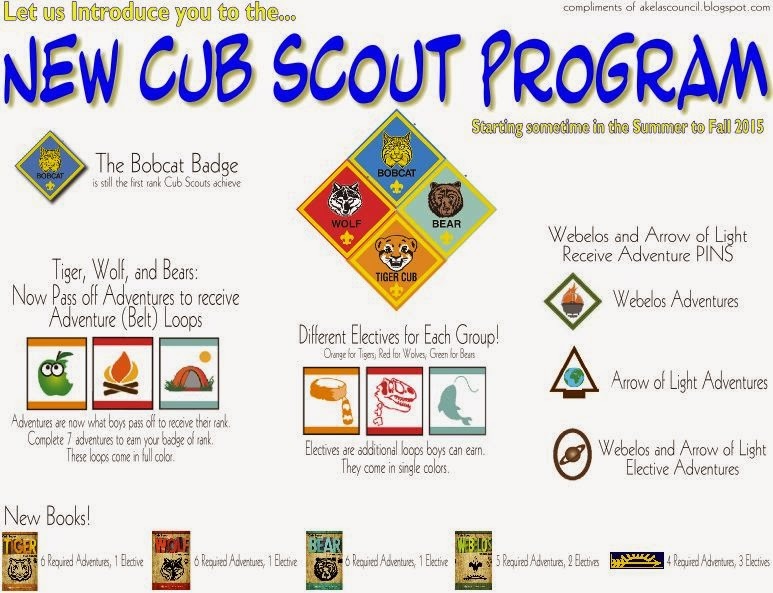 Tracking, planning, and recognition are so important in Cub Scouts. This new tracking sheet will help you be able to keep track of where each boy is at towards the Tiger, Adventures, and Cyber Chip requirements. I like to print this tracking sheet on cardstock, and I print one sheet for each boy to be kept in my leader binder next to their tracking sheet for their Religious Award. I keep a different tab for every boy with all the tracking sheets (Age Group & Religious Award). Then I have complete information on each boy. It helps to do it this way if you do one requirement one week and a different one other weeks. Not every boy is there every week. By doing this, I can always know where each boy is at, and it is all in one place. I keep a roll, and next to the roll I write down what we did that week, and then every couple of weeks I update all the tracking sheets for every boy. If the parents ever have questions, I always have a place to look back at on the roll, and I can always copy each tracking sheet to show them where their boy is. Thanks to Jessika Vaupel from the Trapper Trails Council who shared this tracking sheet with us. 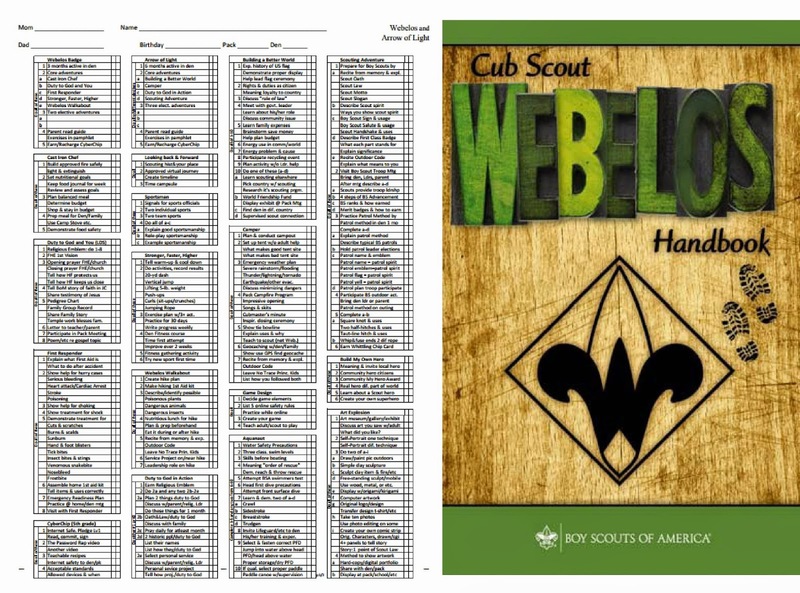 Tracking, planning, and recognition are so important in Cub Scouts. 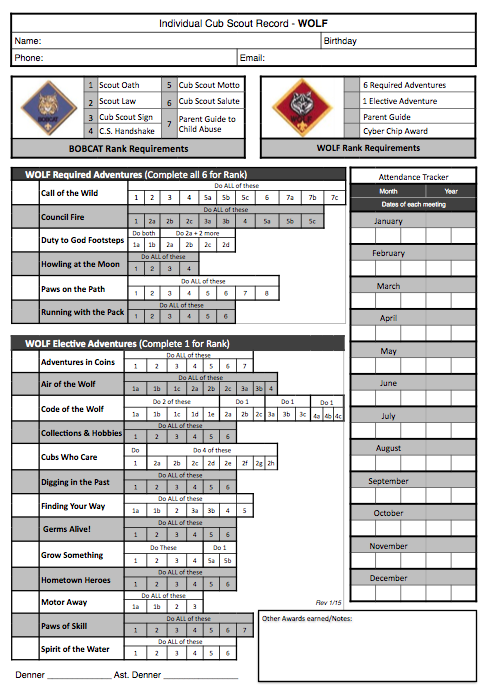 This new tracking sheet will help you be able to keep track of where each boy is at towards the Bear, Adventures, and Cyber Chip requirements. I like to print this tracking sheet on cardstock, and I print one sheet for each boy to be kept in my leader binder next to their tracking sheet for their Religious Award. I keep a different tab for every boy with all the tracking sheets (Age Group & Religious Award). Then I have complete information on each boy. It helps to do it this way if you do one requirement one week and a different one other weeks. Not every boy is there every week. By doing this, I can always know where each boy is at, and it is all in one place. I keep a roll, and next to the roll I write down what we did that week, and then every couple of weeks I update all the tracking sheets for every boy. If the parents ever have questions, I always have a place to look back at on the roll, and I can always copy each tracking sheet to show them where their boy is. Thanks to Jessika Vaupel from the Trapper Trails Council who shared this tracking sheet with us.